Ask Meredith Mendes how she became COO and executive director of Jenner & Block, a Chicago-based law firm with more than five hundred lawyers in four US cities and London, and you might be surprised by the answer. “I literally answered an ad in the newspaper,” she says. After graduation, she worked in a Boston law firm and then headed to Chicago. In Chicago, she worked for financial institutions doing deals and banking work, and then decided to pursue her MBA, accepting a position in investment banking at First Chicago Capital Markets, which would later become part of JP Morgan Chase. “I became an investment banker and went to business school at the University of Chicago,” she recalls. “I started when I was pregnant with my first daughter and finished while I was pregnant with my second.” She then acquired her CPA license based on the advice of a banking client who mentioned it would be helpful for corporate advancement. While working days and completing her schoolwork on nights and weekends, a client told her that the company he worked for, Medline Industries, was looking for a CFO and recommended she apply. She was hired, and after a few years working there and also serving on the board of directors she took a job at a pre-IPO computer value-added reseller. One year into it, and two intense SAP/ERP system implementations later, a recruiter sought her out for the global CFO position at public relations giant Edelman. At Edelman, she was confronted with the task of reviving the company after a failed PeopleSoft conversion. She stabilized the company, retired $21 million of debt in her first year, and successfully reimplemented PeopleSoft. At Edelman, she was confronted with the task of reviving the company after a failed PeopleSoft conversion. She stabilized the company, retired $21 million of debt in her first year, and successfully reimplemented PeopleSoft. While at Edelman, she also implemented numerous other financial- and business-intelligence tools to help manage the business, and completed ten acquisitions on four continents. After six years, she was told she needed to move to New York. With three daughters still in school, Mendes says it wasn’t an option to uproot the family or rejoin what she calls “the New York grind.” So she opened up the newspaper and saw that Jenner & Block was hiring. Armed with legal and business training, Mendes landed the role and immediately proved to be a versatile asset for the firm. Upon arrival, she opened the firm’s New York City office, subsequently orchestrated moves into newly constructed buildings for the Washington, DC, office and Chicago headquarters, and later opened new offices in Los Angeles and London. She has implemented systems, matter-management tools, and created process improvements while also leading the firm’s team, introducing many of the innovations impacting the legal industry. “Lawyers can sometimes allow their concern with legal risks to hamper their business judgment. As a lawyer who was an investment banker, CFO, and now COO, I understand the regulatory and legal concerns, and I weigh those risks in light of the overriding business and financial goals,” Mendes says. That versatility also extends to her experience serving on various boards. Mendes is a member of Inland Residential Properties Trust, a multifamily properties REIT; Kronos Worldwide, a titanium dioxide manufacturer; and NL Industries, a holding company for Kronos and CompX International, a manufacturer of specialty locks and marine components. She is also a trustee of the Chicago Academy of Sciences and its Peggy Notebaert Nature Museum, a member of the University of Chicago Women’s Board, a National Association of Corporate Directors Board Leadership Fellow, and was recently invited to the Latino Corporate Directors Association, which has a mission to move the needle on Hispanic representation on various boards. In establishing a career that was built not necessarily by design, Mendes says she’s learned these important lessons along the way that she wants to pass on to her daughters and other young women coming up in business. Still, the lessons learned in the workplace have helped foster a greater drive to help others. Although she notes a difference in the way she manages her workload at Jenner & Block and the service she can provide to any board on which she serves, the same versatility that helps her in business also proves to be a strength in the boardroom. 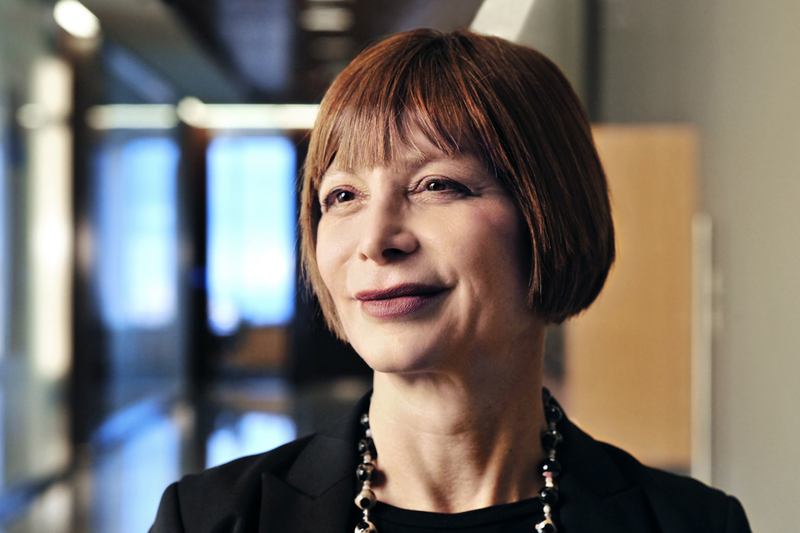 Nevertheless, Mendes says her own path to board membership hasn’t always been easy. Working at a law firm often makes others automatically think she’s a practicing lawyer, as opposed to the COO whose business and strategic acumen help run the business. Disavowing people of the notion that she would serve on a board in a legal capacity is something Mendes says she often has to do. “Yes, my legal background informs my perspective, but it’s my strong financial and business acumen as well as a wealth of experience in multiple industries that are most valuable to a board. I’m there to provide financial, real estate, IT, and other operational oversight and strategic advice,” she says. Even though she’s opened herself to the outside experiences she laments missing when younger, Mendes is still a self-confessed workaholic. Fortunately, it’s to the benefit of both Jenner & Block and any board on which she serves. “In the office, I try to exceed customer expectations,” she says. “I turn things around as fast as possible and deliver more than people ask for. When I do my board work, I really study. I connect with management and try to use my experiences to raise questions people might not have considered and help with oversight. I’m always trying to learn as much as I can. In that way, my professional work and board involvement are similar.